Star naming has existed since ancient times. Stars that were visible to the naked eye were named in different languages by people from far-reaching parts of the world. All cultures created magical stories about the stars, which often included grouping the stars into constellations. With the aid of the telescope, professional and amateur astronomers have discovered many more stars. These new stars are surveyed and their coordinates are located very precisely. Then they are given official identification numbers that are published in several star catalogs. The oldest known star catalog was produced by ancient Babylonians on clay tablets about 1500 BC. The Shang dynasty in China wrote star names on oracle bones about the same time. More modern catalogs include the Smithsonian Astrophysical Observatory (SAO) catalog, Guide Star Catalog (GSC), and the Name a Star Record Book. You can’t buy a star, but you can name a star as a novelty gift for a friend or loved one. 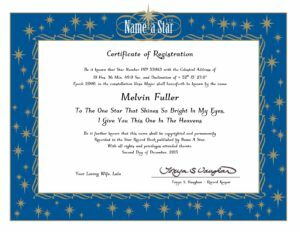 Star naming companies like Name a Star offer a way for non-astronomers to show their love and respect to others by assigning the names of loved ones to stars – stars that are otherwise listed as numbers in astronomy catalogs. Name a Star – The Original Star Naming Service – Since 1978® is the world’s first star naming company. BEND, Ore., Nov. 15, 2016 — Name a Star, a unique gift-giving service where people can buy a star and name a star after a someone special , today announced the release of its new website, designed to make the star naming process even easier. Founded in 1978, Name a Star is the oldest star naming service in the world. 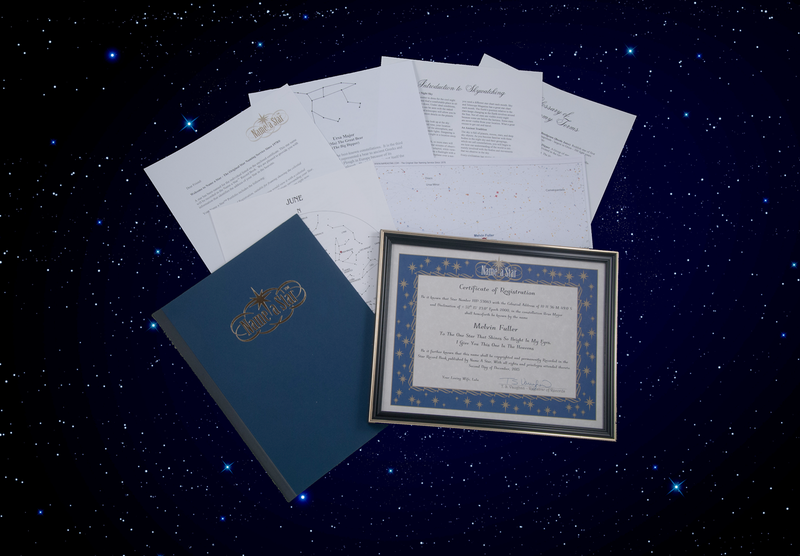 Name a Star allows thoughtful gift-givers to buy a star with confidence from the original star naming service. You can assign the recipient’s name to a star that would otherwise just have a number in a catalog. While the name is not listed in scientific astronomical catalogs, it is kept in Name a Star’s record book, which is registered with the United States Copyright Office. Name a Star is a gift that is fit for any occasion, including birthdays, anniversaries, holidays, graduations, or any other special day. 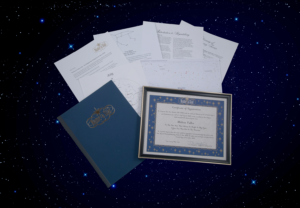 The naming of a star includes a certificate of registration and comes in a variety of gift packages. The service is also available in eight languages. Name a Star has been featured in various publications and on television shows, most notably on the Oprah Winfrey Show, where Oprah surprised a guest with two Name a Star Memorial Stars, which were named after someone who had passed away. For more information about Name a Star, visit www.nameastar.com. 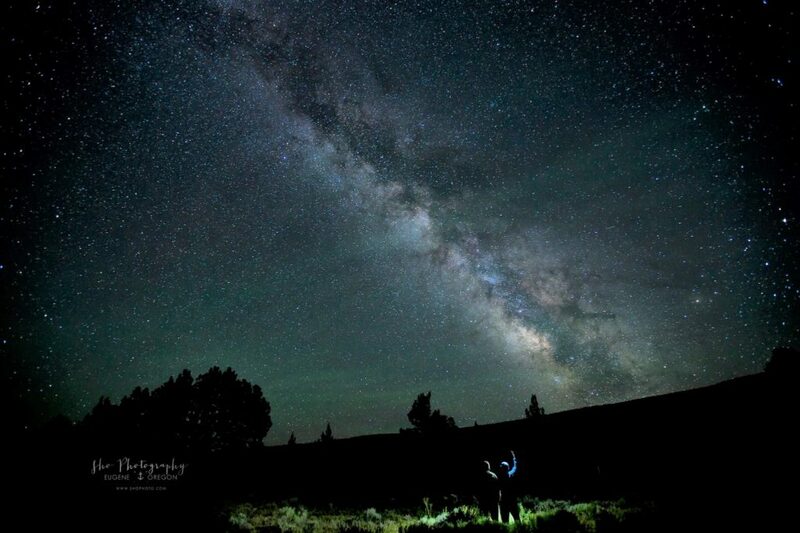 Name a Star — The Original Star Naming Service — Since 1978Ⓡ invites customers to name stars after friends and loved ones. The service has been popular for gifts for birthdays, anniversaries, and holidays, allowing the recipient to be reminded of the gesture with every look into the night sky. Customers can also honor someone special who has passed away with a memorial star.